Are you looking for some fun and interesting ideas for serving ‘Veggie’ meals across all ages (both in primary and secondary schools)? Well look no further! A Great alternative to fish fingers, our veggie finger is vegan, meat, dairy and egg free and covered in a crisp breadcrumb coating. Serve the Veggie finger with herby crusted potatoes, carrots, peas and green beans. Or if you are just looking for a quick snack, how about serving a ‘grab and go Veggie finger wrap... simply moreish! This tasty pasty is filled with vegan beef style pieces and vegetables wrapped inside a vegan puff pastry case. Just add mashed potatoes and peas for a nutritious and delicious meal. On its own, the pasty is a perfect ‘anytime’ snack, particularly for ‘elevenses’. Wrapped in a vegan puff pastry case, our vegan meat, dairy and egg free sausage roll is seriously tasty, especially when served with roast potatoes, carrots, peas and broccoli. It is also a great alternative when looking for a quick snack and perfect for ‘elevenses’ too! 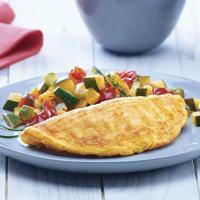 Our fluffy free range cheese or plain omelettes are a fantastic way to start the day at Breakfast clubs. Alternatively, they can be served as a main meal with garlic ciabatta and tomato salsa. Feeling creative... why not add an additional veggie filling such as mushrooms or serve in a muffin (as a healthy take on an egg McMuffin) or a bun alongside chunky fries and sweetcorn? For the more adventurous, why not try our vegetable ravioli parcels? Boiled or steamed these little parcels of yumminess can be served with a tomato based sauce, garlic bread and broccoli for a satisfying and nutritious meal.